Any kind of mattress can be a challenge to clean. This guide is about cleaning a memory foam mattress. If your mattress is very wet (having been dunked in a bath or used a hose on it), cover with towels and walk up and down on it until the excess is soaked up. If the mattress is only slightly damp (spot cleaned), do either same as previous or use a Wet Vac to soak up excess. Finally stand mattress on side next to radiator and rotate as necessary. It will dry within the day. This has worked with single mattresses raging from 5 - 12 inches thick. Good to know should the occasion arise, but I avoid this to begin with by covering the entire mattress with a waterproof zippered cover that can be laundered should the need arise. Which it did to me recently, on my new 12-inch memory foam mattress. I have two of them, one king size and one twin. Both are a bit bulky and large to stand up to dry, so I find a waterproof mattress cover is the best for me - and it only cost around $10 and is reusable. How do I clean and deodorize my Sealy Posturepedic mattress? It smells like sweat! I totally believe in white vinegar. I would think on a sunny or dry day you should try to spray it on the exposed mattress (wash the cover with white vinegar in place of bleach and in place of softner). How do you clean memory foam mattress pads? I have tried to use a vacuum on mine and it is really difficult. I have a cheapie memory foam mattress from wal-mart. honestly this is quite a challenge I think. for hair I have tried a lint roller. Didn't work. Duct tape wrapped around your hand?? I really don't know. Whoever knows-please post something. Actually, I don't know either but I use a quilted pad on top so that helps keep it clean. Mine has a cover but I'm afraid to take it off to wash, I probably couldn't get it back on right. I have a queen size "cheap" foam mattress pad and for years I would just buy another one vs. cleaning it. Since I planned on using the old foam pad for various projects - pet beds, craft projects, make-shift filler and filters, etc. I figured that I might as well try and clean it first and see what happens. 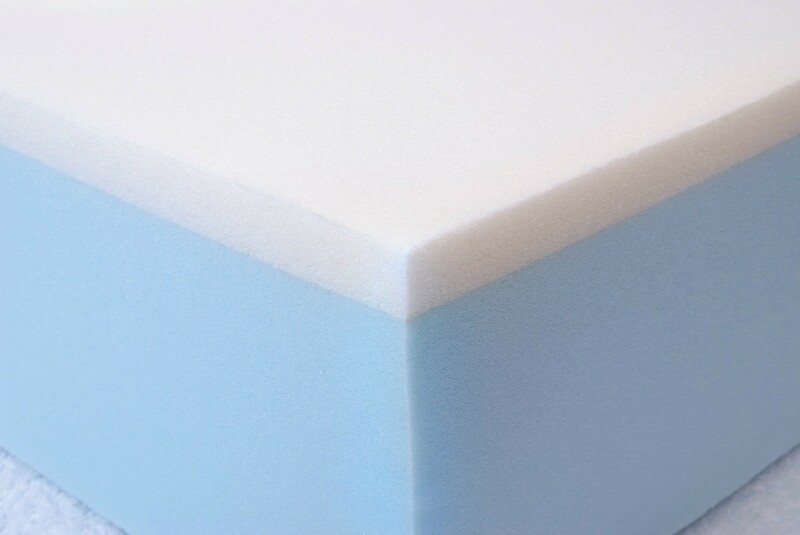 It is a cumbersome task but I have found that the best way to clean a foam mattress pad is to make up a solution of 1 part Woolite; 2 parts water into a household spray bottle. Place the mattress pad into the tub or the shower and spray the solution evenly over the entire pad - saturate both front & back of the pad. Let it soak for about 30 minutes and then rinse with luke-warm water straight out of the faucet. Rinse well until clear. (A detachable shower head is ideal for this project.) Gently squeeze out as much of the water as you can folding the pad several times and pressing on the folded pad repeatedly in the tub. DO NOT TWIST OR WRING THE MATTRESS PAD! Empty the Woolite solution and refill the spray bottle with 1/4 cup of vinegar (or 1 part vinegar and 4 parts water) and partially saturate the mattress pad again. The vinegar solution helps remove detergent residue. Spray/rinse with (shower head) water until clear. Gently press the rinse water out and air dry by draping across the shower/tub. Keep AWAY from sunlight. Sunlight will discolor the foam and cause it to breakdown. Like I said, it's easier to just buy a new foam mattress pad but cleaning and reusing the same pad helps cut down on costs and filling the landfills with a complex artificial plastic-based chemical compound like cheap foam mattress pads. For more information please reference: http://www.back  ckPillowCare.asp for more information. I've checked out a few websites hoping to learn what is used and all I've come up with is the idea of using peroxide over the area and keeping in mind that peroxide will also discolor the foam. Another option was using mild soap and water and allowing the solution to penetrate/saturate and keep rinsing until the urine is removed. It is suggested to dry with hair dryer not getting it too close to burn the foam. I'd suggest using an electric fan and take the foam mattress outdoors to clean it too. The fresh air should help as it does when clothes are hung out to dry. Cover with a sheet to keep debris off the mattress. To keep foam mattress cleaner longer, put a mattress protector pad over it before the sheets. You can try a home carpet cleaning machine. Spread a clean tarp outside, Have an assistant to hold pad down while you go over it. I would leave the protective cover on during this process. You can try adding some disinfectant to your detergent (Clorox or Lysol) Even some fabric softener for a fresh fragrance. Dry in the sun on some saw horses. Cover each horse with a clean towel to protect your clean pad. Turn occasionally to ensure even drying. Good Luck! I found a really easy way to clean the memory foam mattress pad. Go to pets mart or another major pet store and purchase SIMPLE SOLUTION - STAIN & ODOR REMOVER, an awesome product to have in the house with pets anyway. 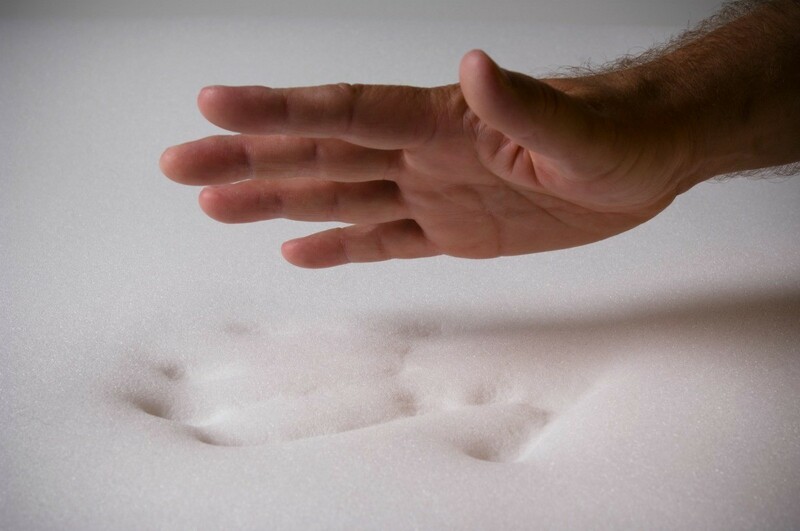 Take your memory foam topper and lay it out in your basement or garage. Spray the soiled area until it soaks through. Let it stand for the time quoted on the bottle. The key is getting it dry. Memory foam is just a giant sponge, so what I did is take my shop vac and placed the wide floor cleaning attachment on the hose and placed it on the wet area. I placed a towel on the underside so that the vac could draw air from under the mattress pad. Move it occasionally around the wet area until you think its pretty dry. I then placed a dry towel on the top and the bottom of the mattress pad and placed a weight on top and let it sit overnight. Worked like a charm, with a little of the stain visible but the odor was gone. I suggest to use ammonia to clean most things, good luck. My house caught on fire, but we were able to save my newly purchased bed. It is a memory foam bed and smells badly like smoke. How do I remove the smell without damaging the mattress? I would try a no vacuum foam carpet cleaner and get some hair refresher spray by TRESseme, Fresh Start. It gets smoke smell out of your hair without shampooing. Maybe even a catalytic oil lamp. Use to clean purify and refresh the room. A carpet cleaning company can maybe do the cleaning for you. How do I remove sweat from a memory foam mattress? This is a guide about cleaning urine off a memory foam mattress. Children, pets, and others occasionally have an accident resulting in urine getting on a mattress. This is a guide about cleaning pet urine on memory foam. Using an enzyme based cleaner will help eliminate the odor of urine.